Northampton is located in the Kingstowne area of Alexandria. Kingstowne is a planned community of 5,500 homes and Northampton is a part of the master-planned community. 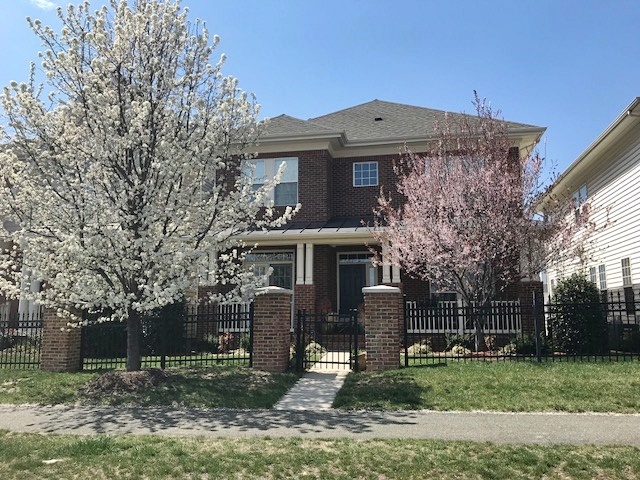 Situated off of South Van Dorn Street and also accessible via Franconia Road the neighborhood is in a prime location with easy access to all that Kingstowne has to offer. What’s The Northampton Neighborhood Like? The neighborhood is composed of 100 residences and in a combination of single-family homes and townhomes. The homes are all 3 levels and feature beautiful stone or brick fronts and boast open floorplans with spacious accommodations; ranging from 3-6 bedrooms and 2-4 full bathrooms. Some of the homes in Northampton also have half baths. All of the single-family homes have two car garages and 1-2 fireplaces. Kingstowne is known for its prime location and Northampton is no exception. The neighborhood is in walking distance to Kingstowne Towne Center where you’ll find access to 2 grocery stores, dining, shopping, and Kingstowne 16 Movie Theater. The neighborhood is also within ten minutes to Hilltop Village Center and Springfield Town Center with more options for dining and entertainment. Needless to say there’s no shortage to access to daily needs, restaurants, and shopping from the Northampton neighborhood. The neighborhood is less than two miles from two metro stations – Franconia-Springfield and Van Dorn. Residents find convenient access to 95, 395, 495, and Fairfax County Parkway. Children living in Northampton will attend Franconia Elementary, Mark Twain Intermediate, and Edison High Schools. To learn more about these schools visit GreatSchools.